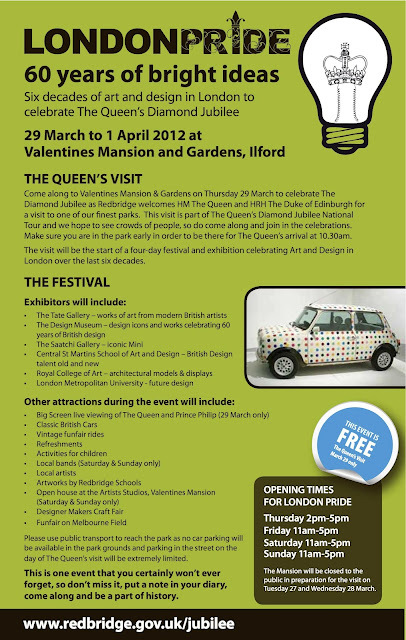 Come along to the Valentines Mansion & Gardens in Redbridge Ilford this March for this years London Pride Festival which celebrates six decades of art & design in London. Running from the 29th March - 1st April, this four day event kicks off with a visit from the Queen as she embarks on her National Tour in preparation for this years Diamond Jubilee. There will also be an array of works from lots of major galleries & museums including the Saatchi Gallery & the Design Museum. Its really nice to read the side effects that you outlined above mainly the one in which you said that the user gets fantastic visibility.It will indeed add to user experience.